Pages from the manuscript showing a portrait of James Joyce on the lower left. (Click on image to enlarge). A heavily corrected manuscript page. (Click on image to enlarge). 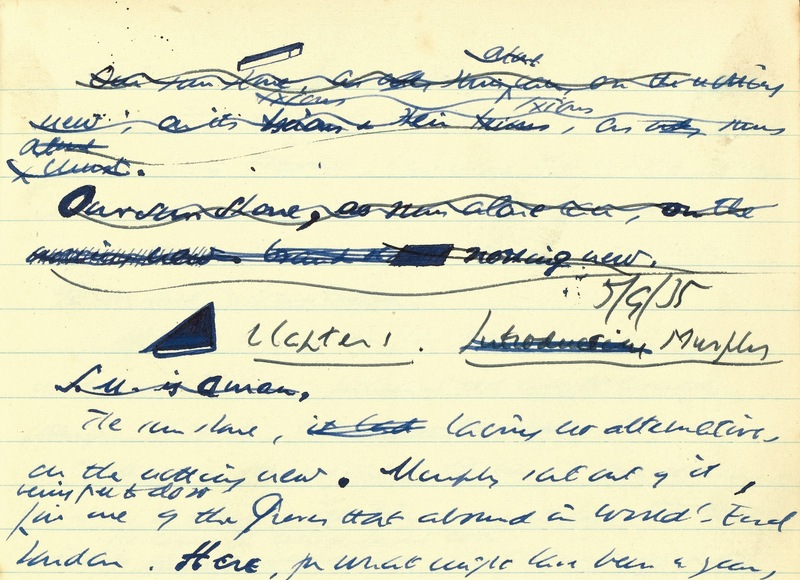 One of the most important 20th century working manuscripts remaining in private hands – Samuel Beckett’s first novel, “Murphy” – will come up at Sotheby’s in London on July 10. Thought capable of re-defining Beckett studies it is estimated at £800,000-£1 million. 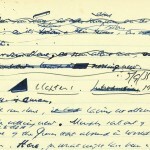 Handwritten in six exercise books between August 1935 and June 1936 in Dublin and London whilst Beckett was undergoing psychoanalysis, the manuscript, initially entitled “Sasha Murphy” is heavily revised throughout. The hundreds of cancellations and revisions bear witness to Beckett’s struggle to give form to his artistic vision. The novel is characterised by exuberant language and is the most comic of all Beckett’s works, although it also has deep philosophical roots. The plot concerns the eponymous Murphy’s attempts to find peace in the nothingness of the “little world” of the mind without intrusion from the outside world. Spurred on to find employment by his prostitute girlfriend, Murphy finds some tranquillity working in an insane asylum before accidentally immolating himself in his garret. 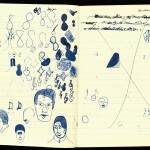 The notebooks are also full of lively doodles hinting at the author’s preoccupations during this period, including recognisable portraits of James Joyce, Beckett himself, and Charlie Chaplin (later an influence on the tramps in Waiting for Godot), as well as astrological symbols and musical notations. Peter Selley, Sotheby’s Senior Specialist in Books and Manuscripts commented: “This is unquestionably the most important manuscript of a complete novel by a modern British or Irish writer to appear at auction for many decades. I have known about the existence of this remarkable manuscript for a long time – as have a number of others in the rare book business, and some Beckett scholars – but it has only been glimpsed, tantalizingly, by a few chosen individuals during that time. 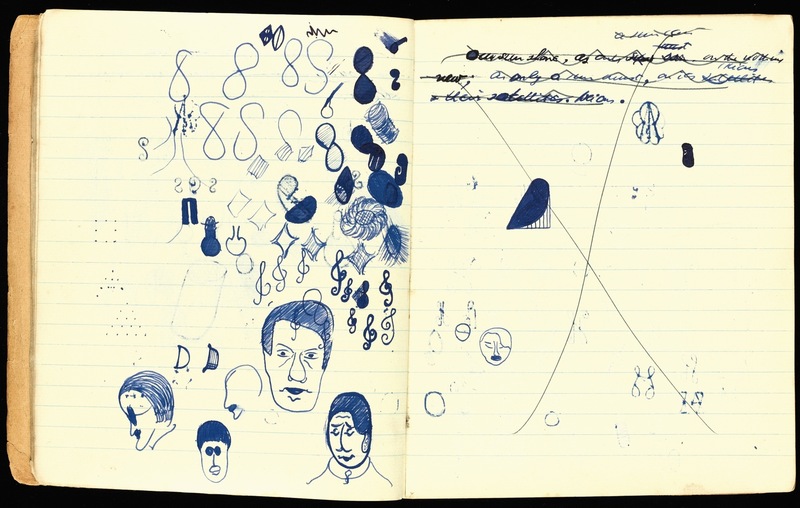 The notebooks contain almost infinite riches for all those – whether scholars or collectors – interested in this most profound of modern writers, who more than anyone else, perhaps, captures the essence of modern man. The manuscript is capable of redefining Beckett studies for many years to come”. 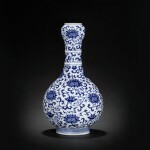 This blue and white “joined lotus” bottle vase made £679,650 at Bonhams. (Click on image to enlarge). Bonhams specialist in Chinese works of art, Olivia Hamilton, will be in Ireland on June 11 and 12 for appraisals. 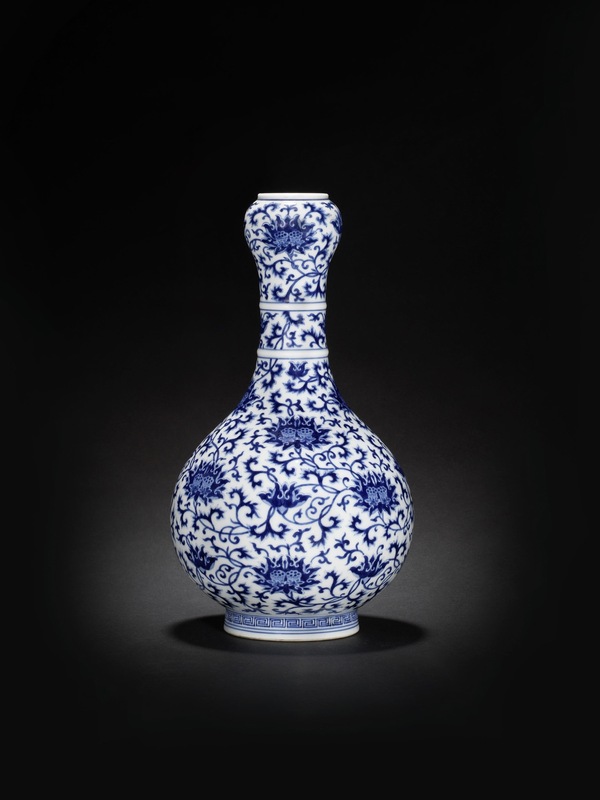 Exceptional prices achieved so far this year include a rare blue and white garlic headed joined lotus bottle Qianlong vase, which sold for £679,650. Sales at Bonhams during Asian Art Week in London in May totalled over £12.7 million. Bonhams is now inviting entries for the next Chinese sale in November, again timed to coincide with the next Asian Art Week. The sale will be held in the newly renovated Bond St. salesroom, which is due to open in the autumn. Bonhams maintains a presence in Ireland at Molesworth St. in Dublin. Anyone interested in meeting Olivia Hamilton is advised to contact ireland@bonhams.com or via the Dublin office on 01 602 0990. Claude Monet Le Palais Contarini (£15-20 million). (Click on image to enlarge). UPDATE: IT SOLD FOR £19,682,500. 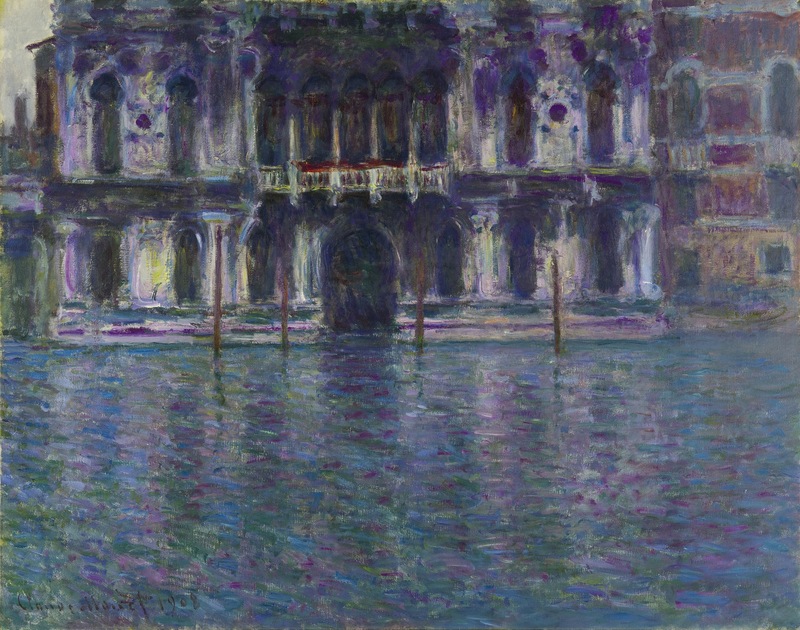 Sotheby’s has marked tomorrows opening of the Venice Biennale with an announcement that it will offer a view of Venice by Claude Monet in London on June 19. 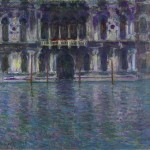 The Contarini Palace was painted during a three month trip to Venice in 1908. Estimated at £15-20 million it will highlight Sotheby’s evening sale of Impressionist and Modern Art. 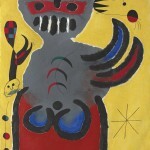 The sale includes works by Picasso, Mondrian and Kandinsky. The 55th international art exhibition that is the Venice Biennale 2013 runs from June 1 to November 24. 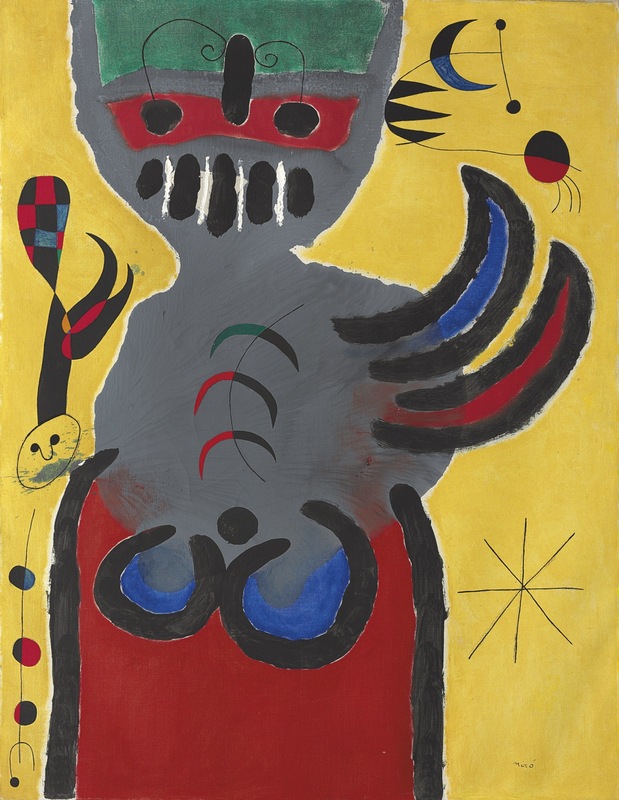 La tige de la fleur rouge pousse vers la lune (The Stem of the Red Flower Grows Toward the Moon) by Joan Miró (1893-1983) is estimated at £5.2 to 7 million. CHRISTIE’S IMAGES LTD. 2013 (CLICK TO ENLARGE). 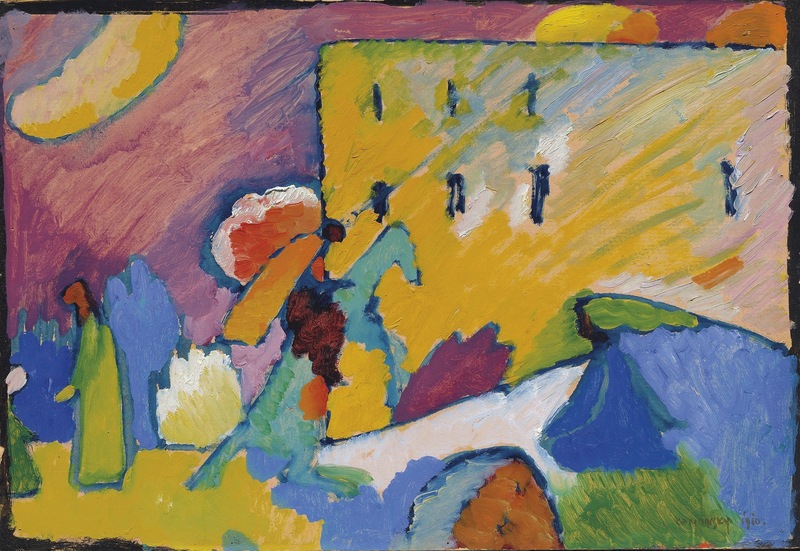 Wassily Kandinsky’s Expressionist masterpiece Studie zu Improvisation 3 leads Christie’s Impressionist and Modern Art sale in London on June 18. Most of the works from the series are in major institutions. This third study is estimated at £12-18 million. The London sale of 44 lots presents a vareity of inspiring works from the roots of Impressionism evident in Eugène Boudin’s (1824-1898) 1864 painting Scène de plage (£500,000-700,000) to Henry Moore’s Stone Form, a unique abstract in granite from 1984 (£1.2-1.8 million). The sale is expected to bring in from an estimated range from £52 to 75 million. UPDATE: The sale realed £64,076,575, selling 84% by lot and 87% by value. 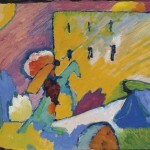 The top price was paid for Kandinsky’s Studie zu Improvisation 3, 1909. There was a world record price for a Paul Henry at James Adam in Dublin this evening. The Potato Diggers sold for a hammer price of 400,000. It had been estimated at 250,000-350,000. It was bought by an Irish family living abroad. Five bidders chased the work, which went up from 120,000 in tens and twenties. Around the 320,000 mark a couple of bidders dropped out and two bidders chased it from 350,000 to 400,000. 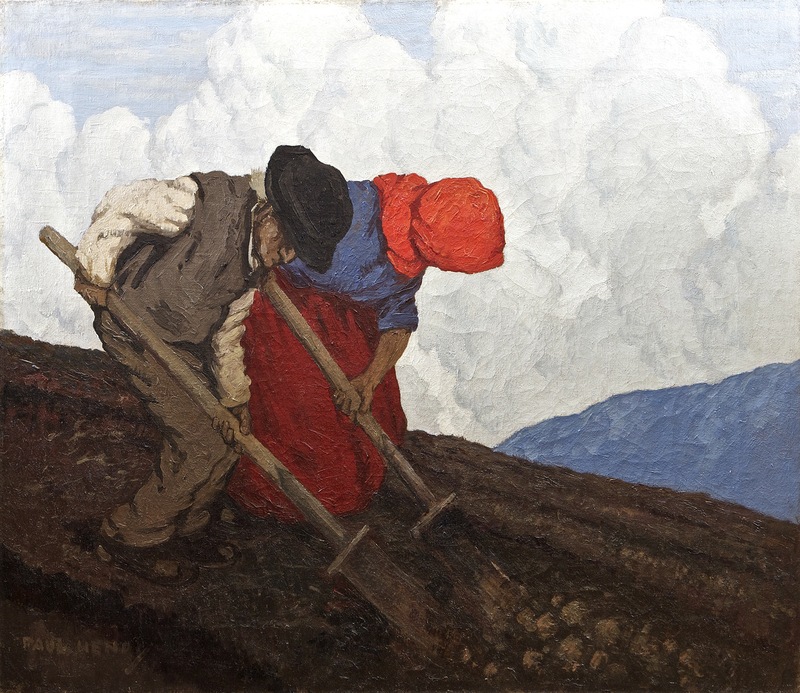 The previous record for a Paul Henry was a hammer price of 300,000 for The Turf Gatherer, part of the collection of Dr. J. B. Kearney sold at Adams in December 2007. The other Paul Henry in the auction, a landscape with cottages sold for 130,000. In general bidding was good and there was a lot of interest in the Irish art on offer. 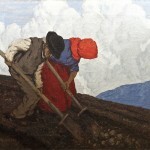 The Potato Diggers by Paul Henry at Adams. Click on image to enlarge. 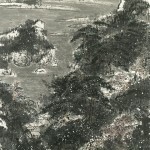 CHINESE paintings achieved 130,911,226 US dollars at Christie’s in Hong Kong this week. This is , the second highest total for the category. 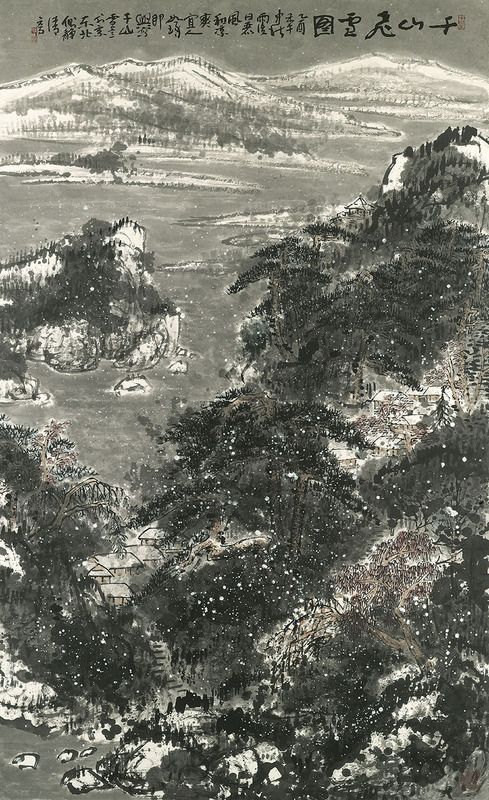 The top lot was a 1947 work by Chinese master Zhang Daqian which made more than $10 million. 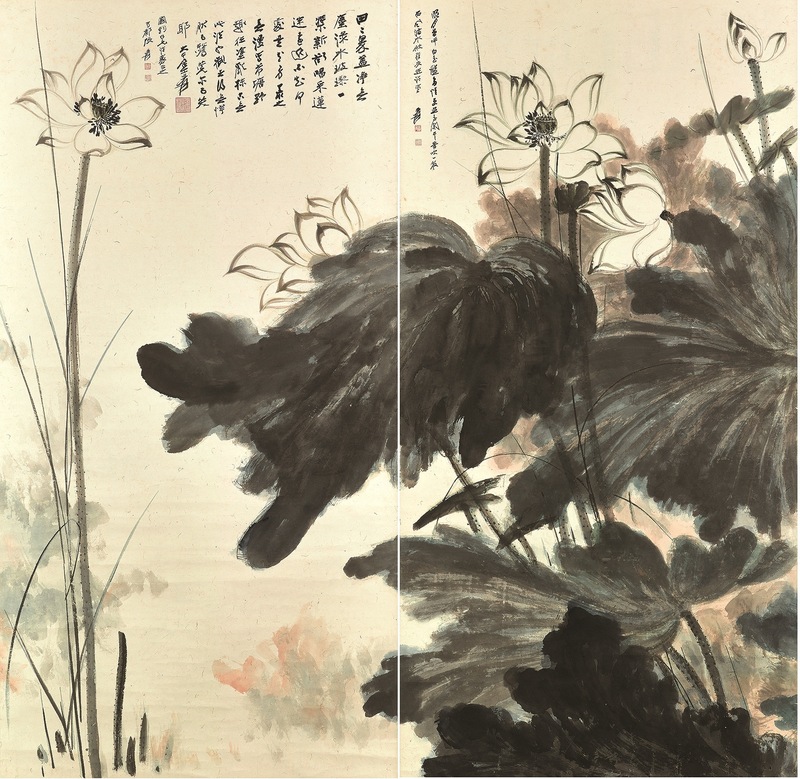 The set of four large hanging scrolls entitled “Lotus” sold for HK$80.51 million ($10,426,045 million). Each is over five feet tall and depicts multiple blooming lotus flowers drawn in ink and colour on paper. The sold rate was 94 per cent by lot and 98 per cent by value. Ben Kong of Christie’s remarked: “Throughout the previews and auctions we saw a resurgence of interest in Chinese classical paintings, as well as great enthusiasm for Modern paintings”. 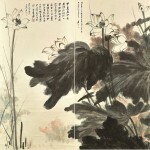 Zhang Daqian (1899-1983).Lotus (two of four scrolls) courtesy Christie’s Images Ltd., 2013. (Click to enlarge). Cui Rhuzuo (born 1944) – Snowy Mountains sold for £9,990,925 US. (Click on image to enlarge). Courtesy Christie’s Images Ltd., 2013. 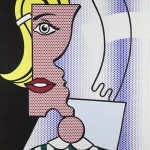 Roy Lichtenstein – Puzzle Portrait, 1978 at Masterpiece, London. (Click on image to enlarge). 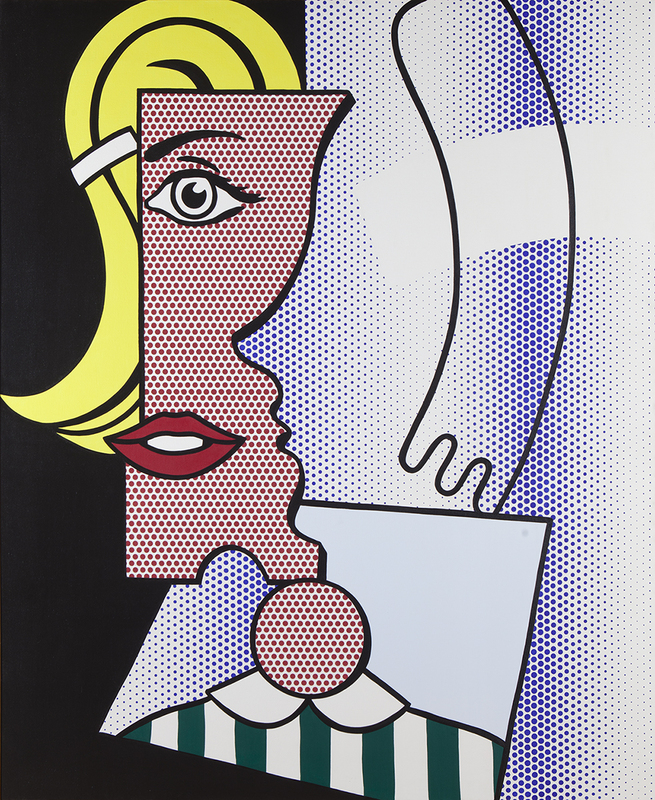 Purchased directly from the artist in 1983 Roy Lichtenstein’s Puzzle Portrait will be at Masterpiece which runs in London from June 27 to July 3. The prestigious fair is at the South Grounds of the Royal Hospital in Chelsea. The painting will be brought to the fair by Washington D.C. based Geoffrey Diner Gallery. It is to be sold with two hand signed letters from the artist to the collector detailing the sale. “The strength of the market for iconic masterpieces was clearly demonstrated in the New York auctions last week, when two works by Roy Lichtenstein, reached new heights and one achieved a world record for the artist at auction. The astounding prices reached for these works show the strong desire amongst collectors to acquire masterworks. Continuing from this, Masterpiece London is delighted that Geoffrey Diner Gallery has chosen our fair and London to unveil this fresh and rare work by Roy Lichtenstein’, Nazy Vassegh, CEO of Masterpiece London, commented. UPDATE: At the conclusion of Masterpiece 2013, which saw 34,000 visitors including leading curators and collectors, the Geoffrey Diner Gallery was considering offers on the work. 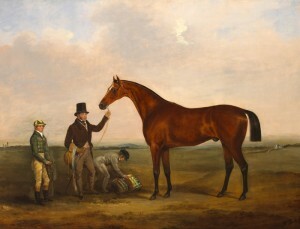 Col. Westenra’s Freney by William Brocas, one of a pair of equestrian portraits which sold for 29,000. Important Irish art grossed 450,000 at Whyte’s sale at the RDS in Dublin on May 27. The top lot was a pair of 19th century equestrian portraits by William Brocas, which made 29,000 against an estimate of 30,000-40,000. The auction was 73 per cent sold and 25 per cent of the lots made above the estimate. Internet bidders accounted for 25 per cent of bids and 20 per cent of lots sold. Bidders came from Ireland, the UK, France, Netherlands, Switzerland, UAE, USA, Canada, Hong Kong and Australia. (See post on antiquesandartireland.com for May 21, 2013). sale of Pop Culture in South Kensington on June 26. It was worn for Taylor’s wedding to Conrad “Nicky” Hilton Jr. in 1950. Taylor, then 18, was already a veteran actress and celebrated star. The wedding was attended by 700 guests with stars including Greer Garson, Gene Kelly, Ginger Rogers, Fred Astaire, Esther Williams and Van Johnson. The list included co-stars Spencer Tracy and Joan Bennett from Father of the Bride (1950) which MGM scheduled for release weeks after the wedding. The dress is estimated at £30,000-50,000. 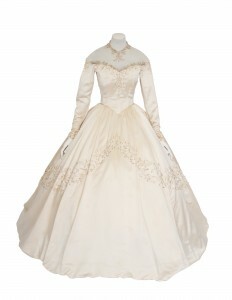 A gift from MGM it was designed by their legendary costume designer. With its 25 yards of shell white sating embellished with bugle beads and seed pearls, trailed by a 15 yard satin train, it was typical of the type of elegant design for which Helen Rose was known. Elizabeth Taylor’s appreciation of this dress far outlived the marriage. Photographs of it have appeared all over the world, from newspapers and tabloids to LIFE magazine. The status of the celebrated film star and humanitarian as a style icon continues to be legendary. When the auctioneer’s gavel fell on the last lot of the complete Elizabeth Taylor collection at Christie’s in 2012 the grand total for the collection amounted to a staggering $183,483,694 dollars or £117,249,761 sterling or 141,036,143 euro. Every one of 1,817 lots of her fine art, jewelry, fashion, decorative arts and memorabilia was sold, often high above the estimate. John Butler Yeats’ tender portrait of his son William Butler Yeats sold for £80,500. New growth in the Irish art market was being talked about after Sotheby’s sale of British and Irish art in London today. The Irish lots sold achieved over 1.3 million euro against an expectation of around the one million euro mark. The top Irish lot was Roderic O’Conor’s Red Rocks and Sea which made £266,500. John B. Yeats portrait of his son William Butler Yeats made £80,500 over a top estimate of £60,000 and Sir William Orpen’s Portrait of Noll, son of Oliver St. John Gogarty, made £194,500 over a top estimate of £150,000. Basil Blackshaw’s First Tractor in Randalstown made £134,500, Paul Henry’s Achill Woman made £122,500 and My Delight by Gerard Dillon sold for an above estimate £35,000. 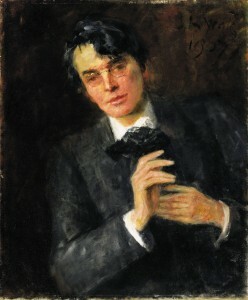 Buyers were mostly international, with strong US interest in Yeats. The Orpen went to an English client. “We continue to be completely committed to Irish art and artists. Irish art receives all our energy to make sure that it is promoted on an international stage”. (See posts on antiquesandartireland.com for May 17 and March 28, 2013).